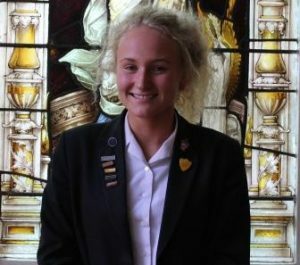 Being chosen for prefect was a great honour because I believe it will develop me as a person: giving me additional responsibilities, as well as a sense of importance. I consider it to be an important role within the school because it provides an opportunity to promote our goals, ideas and objectives. My favourite subject is maths because I find it easy to understand and thoroughly enjoy studying it. Sport, in general, has to be my favourite hobby because I have done it from a very early age. It’s a big part of my life because I enjoy pitching myself against others in competition.